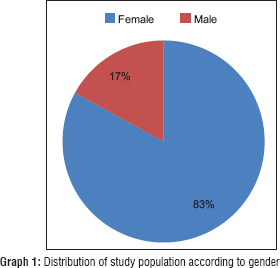 This descriptive cross-sectional survey included a total of 110 children in the age group of 2–15 years. Mean duration of stay in orphanage was 4 years. 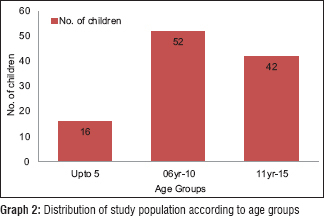 [Graph 1] and [Graph 2] show gender- and age-wise distribution of children. Shah AF, Tangade P, Ravishankar TL, Tirth A, Pal S, Batra M, et al. Dental caries status of institutionalized orphan children from Jammu and Kashmir, India. Int J Clin Pediatr Dent 2016;9:364-71. Park K, editor. Mental health. In: Park's Text Book of Preventive and Social Medicine. Jabalpur: Banarasidas Bhanot Publishers; 2000. p. 632-8. Petersen PE. The World Oral Health Report 2003: Continuous improvement of oral health in the 21st century – The approach of the WHO Global Oral Health Programme. Community Dent Oral Epidemiol 2003;31 Suppl 1:3-23. Shanbhog R, Raju V, Nndlal B. Oral health knowledge in orphanage children. J Nat Sci Biol Med 2014;5:101-7. UNICEF Press Center. Orphans. Available from: http://www.unicef.org/media/media_45279.html. [Last accessed on 2017 May 07]. Peter S. Indices. Essentials of Public Health Dentistry. 5th ed. New Delhi: Arya Publication; 2015. p. 503-12. Thetakala RK, Sunitha S, Chandrashekar BR, Sharma P, Krupa NC, Srilatha Y, et al. Periodontal and dentition status among orphans and children with parents in Mysore city, India: A comparative study. J Clin Diagn Res 2017;11:ZC115-8. Gaur A, Sujan SG, Katna V. The oral health status of institutionalized children that is, juvenile home and orphanage home run by Gujarat state government, in Vadodara city with that of normal school children. J Indian Soc Pedod Prev Dent 2014;32:231-7. Abhishek S, Anupama G, Sonia P, Vasim R, Sudhanshu S, Antim BS. Oral health status and treatment needs among orphanage children of Jaipur city. Sch J Appl Med Sci 2014;2:1776-80. Muralidharan D, Fareed N, Shanthi M. Comprehensive dental health care program at an orphanage in Nellore district of Andhra Pradesh. Indian J Dent Res 2012;23:171-5. Sampaio FC, Freitas CH, Cabral MB, Machado AT. Dental caries and treatment needs among indigenous people of the Potiguara Indian reservation in Brazil. Rev Panam Salud Publica 2010;27:246-51. Hopcraft M, Chowt W. Dental caries experience in aboriginal and Torres strait Islanders in the Northern Peninsula area, Queensland. Aust Dent J 2007;52:300-4. Kahabuka FK, Mbawalla HS. Oral health knowledge and practices among Dar es Salaam institutionalized former street children aged 7-16 years. Int J Dent Hyg 2006;4:174-8. Bali RK, Mathur VB, Talwar PP, Chanana HB. National Oral Health Survey and Fluoride Mapping 2002-2003 India. Dental Council of India and Ministry of Health and Family Welfare (Government of India); 2004. Srinivas R, Srinivas P, Viswanath V, Suresh S, Devaki T, Narayana V. Oral health status of institutionalized street children aged 5-15 years in Guntur city, Andhra Pradesh, India. Int J Sci Technol Res 2012;1:19-23. Santhosh K, Jyothi A, Prabu D, Suhas K. Oral hygiene and periodontal status among children and adolescents residing at an orphanage in Udaipur city, India. Niger Dent J 2008;16:82-6. Singh A, Sequiera P, Acharya S, Bhat M. Oral health status of two 12-year-old socially disadvantaged groups in South India: A comparative study. Oral Health Prev Dent 2011;9:3-7.